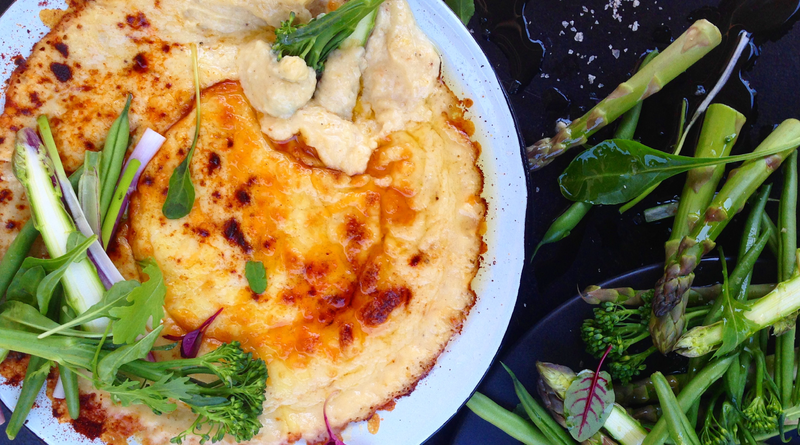 We spent an afternoon in the hot Tswane sun, shooting the breeze and dipping crudités into this moreish cheesy cauliflower dip, by Yuluishii, owner of the Off The Wall Pop Up restaurant in Pretoria. Preheat the oven to 200°C. Rub the thawed cauliflower with olive oil, salt and pepper. Place in the hot oven and roast for about fifteen minutes or until the cauliflower is golden brown. Heat a pan and add butter. Fry the onions gently until softened and then sprinkle over the flour whilst mixing it through the onions. Using a whisk, gradually pour the milk into the onion mixture, whisking continuously until the mixture begins to thicken slightly. Add the cream cheese and whisk in, then add 40g Gouda and 40g Cheddar. Whisk until the mixture ceases to be stringy. Stir in the roasted cauliflower and transfer to a blender. Whizz the dip until smooth. Transfer into an oven-proof dish – preferably a wide bowl. Top with the remaining cheese and a sprinkling of paprika. Bake in the oven on grill for five to ten minutes or until the top is golden brown and bubbling. 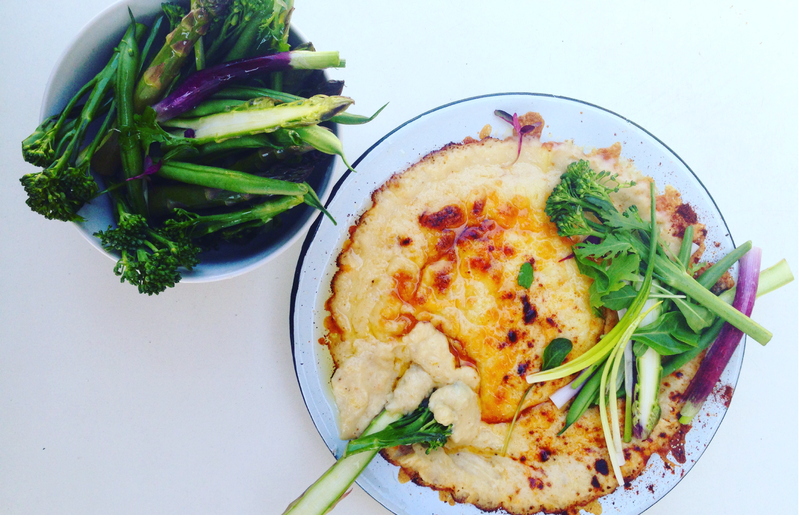 Serve with crudités and other snacks as an appetiser.